Our two identical vacation rental villas are situated in a good-looking, prestigious gated resort community, Club Cortile, which is just minutes away from Disney, Universal Studios and Sea World; walking distance to great shops, highly rated restaurants and public shuttle; and has easy access to major routes reducing traveling times to major attractions, such as the Kennedy Space Center, and the Atlantic and Gulf Coast beaches. 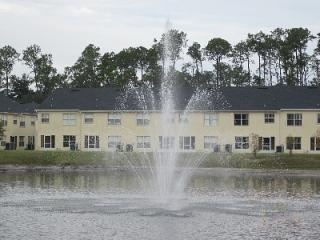 This Townhome is located at Club Cortile Circle, Kissimmee FL. It has 4 bedrooms, 3 full baths, approximately 1,880 square feet, and was built in 2006. This fully equipped villa offers cable TV with over 200 channels, DVD, free wireless internet, cookware, kitchen and eating utensils, microwave, dishwasher, oven, refrigerator with ice-maker, washer, dryer, iron and board, hairdryers, high chair and a baby crib. This scenic lake-view vacation home is only one building away from the club house, which includes a heated swimming pool, hot tub, playground, fitness center, computer room, movie theater, tennis and basketball courts, etc. You will find accommodations that are similar to both high-class hotels and your own home. It would be the exact kind of vacation home you are looking for. You could rent one of the villa or both. The price in Rate is for one villa. A reservation deposit is due upon reservation at $200.00 per stay. Deposit will transfer to damage deposit upon check in. Deposit will be refunded in 7 days after check out without any damage. Tax Rate: 13.0%, Cleaning Fee: $75. I had a great experience renting this property. The house was beautiful, great decorations, clean, great location (very close to everything: theme parks, outlet malls). It was in a nice safe and quiet community. The owner provided excellent customer service. It was wonderful working with Stacy. Refund check returned immediately after my departure. Would highly recommend this place. We stayed at this amazing villa for our summer vacation. Our three children loved it very much. My daughter loved the Disney princes bedding as well as the boys loved the Toy store bedding. Those cartoon bedroom settings made our kids Disney all day long. The villa was huge, feel like more than 1880 sq ft. We had a full equipped kitchen with everything you need to make all the meals. It had a laundry room so you can wash and dry your clothes anytime. 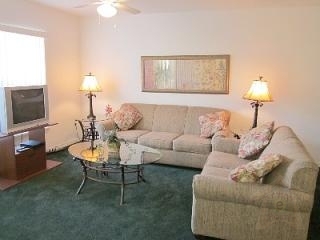 The living room had plenty of room and a nice LCD TV. The bedrooms all had TVs. 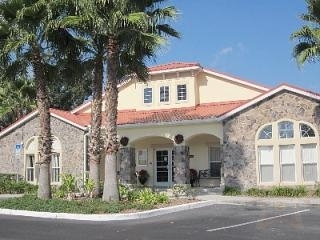 The location is great and extremely close to Disney. We are already talking about when to go back down. 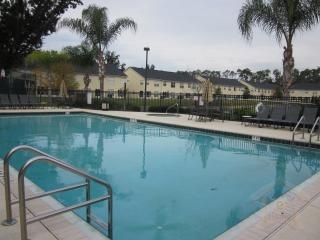 When we go back down to Florida for whatever reason, we will be renting this unit again. We can\'t thank you enough for making our summer vacation perfect!! we had an amazing time at your vacation house. It was great for our family. we definitely liked staying there, its a great community. we glad we chose your house for our vacation. Thank you for everything.